Anne has a passion for leadership and for helping companies leverage the best of their culture to achieve desired change and engage their people in the process. A principal of The Athena Group, Anne’s expertise is in the area of large organizational culture change—helping senior management define the elements of culture that will drive desired change and business results and integrating those elements with organizational systems and processes. Anne is also a part of AthenA’s leadership development and executive coaching practices. Before joining The Athena Group, Anne was a partner at Accenture, a worldwide consulting, outsourcing and technology firm. During her 24 years with Accenture, Anne had extensive experience in strategic planning, business process analysis, systems design, implementation and integration and human performance. She worked in a variety of industries, assisting companies with improving business performance, customer effectiveness and employee effectiveness and engagement. As a partner, she led Accenture’s practice in Human Performance for the West Region, specializing in Workforce Transformation, and working with client workforces to achieve sustainable change that could be measured. Anne has worked with both small and large companies in the oil and gas, telecommunications cable and nonprofit industries in analyzing and implementing business change to better serve their customers and improve business performance. While at Accenture, Anne spearheaded the Women’s Initiative in Denver and the West region, and build Accenture’s relationship with The Leadership Investment. As part of her work with The Leadership Investment, Anne chaired the WiseWomen’s Council, a network of C-Level corporate women for four years. She was a Board Member from 2000-2012 and served as the Board Chair for four years. Anne also served as their Acting President during 2009 – 2010. She currently co-chairs the Fundraising Committee. Charlotte Waisman is a principal in The AthenA Group, LLC, a consulting firm that specializes in leading organizational culture change, developing multidimensional leadership and creating workforce excellence. Her focus is as a hands-on trainer, an executive coach and a team motivator. Her strengths include excellent facilitation skills; creating modules to teach quality initiatives; and developing coaching and mentoring activities. Diverse clients, including corporations, small businesses, government, non-profits and universities have utilized her background, knowledge and experience. She is certified in a number of diagnostic tools including the Bar-On EQ-i, Three Filters Technology, the MBTI and Marcus Buckingham’s StrengthsFinder tool. She is also a professionally qualified behavioral interviewer. Dr. Waisman was the Director of Human Resources at Ischemia Technologies, an invitro diagnostics company. Before this she was in charge of employee career development at Keane, Inc., a large software services company. Earlier Charlotte was the Director of Corporate Development at Telectronics, a manufacturer of pacemakers and defibrillators, where she was responsible for the creation of a world class education and training program including succession planning and career development. Charlotte was instrumental in the design and development of the Leadership Ascent, an intensive year-long leadership program of the Leadership Investment. The program is designed to accelerate the career paths of mid and upper level corporate women. Charlotte’s book, The Leadership Training Activity Book, Amacom Press, 2005, is a reflection of the work of the Institute. Dr. Waisman has a B.S., M.A., and Ph.D. from the School of Communications at Northwestern University in Evanston, Illinois. Her background also includes 14 years as a tenured professor at Northeastern Illinois University and the University of Utah. Contact Charlotte S. Waisman at (303) 674-2345 or cwaisman@athenagroup.biz . Linda is a principal in the AthenA Group, LLC, a boutique consulting group focusing on leadership and culture issues. Linda also has a long history of community involvement. This encompasses both her extensive volunteer activities as well as her full time work in the Banking Industry. While finance and analysis are core competencies of Linda’s, she found great satisfaction in training and coaching her staff. She is a seasoned professional in the areas of Leadership Development, Management Practice and Emotional Intelligence and has dedicated herself to helping people around her “not only succeed, but succeed spectacularly”. She is an experienced executive coach and a mentor. She has led total team “turn a rounds”, from last place to top performing units. 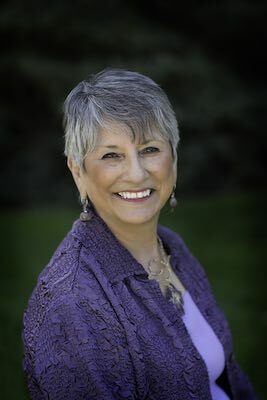 Current topics Linda most frequently addresses for clients include Leadership, Emotional Intelligence, Sales, Sales Management, Financial Analysis, Creativity, Ethics, Internal Politics, Accelerated Learning, Generations, Communication, Management Practice, Power and Inclusion. Linda’s style includes the variety of both experiential and interactive approaches. Her underlying philosophy is that changes come about when behaviors are acknowledged, modeled and dealt with proactively. 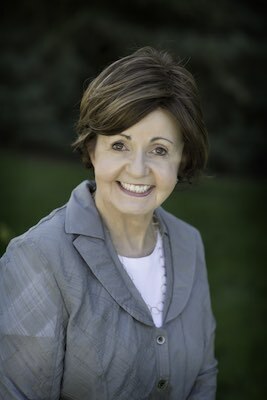 Linda’s extensive banking career included serving as president of several banks in the area, including those in the Wells Fargo, Norwest and United Banks companies. She has opened new charters and has been a CEO. Additionally, she has been involved in several acquisitions and mergers and played key roles in helping those acquired to assimilate and adapt to the culture of the newly formed organization. The Leadership Investment is a commitment that Linda values highly. She is currently a Board Member Emeritus, and a Wise Woman; she is Chair Emeritus, of both the Leadership Ascent for Women and the Leadership Ascent for Men, award winning yearlong leadership programs for the Leadership Investment. Linda was an active member of The Hispanic Chamber of Commerce where she served as chair. Linda was both a Mayoral appointee and a Gubernatorial appointee and is the recipient of several awards for her work with women and minorities. She has volunteered for many not-for-profit organizations including the United Way where she served as Chairman of the Annual Allocations Process. Her enthusiasm, generosity and spirit are recognized and valued by her many clients. Contact Linda Bedinger at (303) 745-7520 or lbedinger@athenagroup.biz . Stephanie Allen is a principal of the AthenA Group, LLC, a consulting firm specializing in organizational culture change, multidimensional leadership and workforce excellence. She has 35 years experience in leadership, leadership development, and program development as a workshop facilitator and speaker. 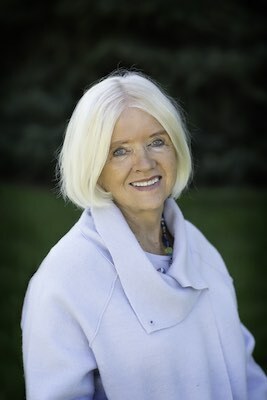 Her work has taken her into corporations, professional firms and associations throughout the US, including Accenture Consulting, John Hancock, Hewlett Packard, AICPA, and Telstra, Australia’s second largest corporation. In addition Steffie is a principal in LeaderWise where she focuses on leadership coaching and assessment. Steffie served as CEO of Management Support Technology, a software development company that she took public. She is the founder and Board Chair Emeritus of the Women’sVision Foundation (WVF), a 3,500 member organization that is dedicated to the advancement of women corporate leaders. WVF provides leadership development programs, events and networking opportunities. Steffie has held board positions in over 20 organizations. She retired from the board of HealthONE, a major hospital system, where she served as Chair and Founder of the Ethics Committee. She recently finished a two year term on the board of the Colorado CPA Society, is a member of the YESS Institute’s Wisdom Council, and has served for the past five years on the Global Leadership Council for the College of Business at Colorado State University. 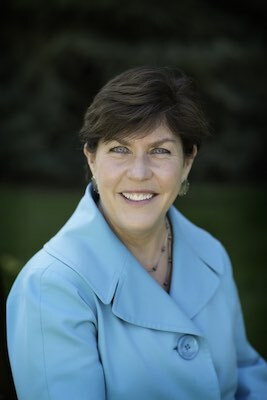 She received the University of Denver Dan Ritchie Colorado Ethics in Business award in 1999 and the Colorado Women’s Leadership Coalition’s Colorado Women’s Leadership Award in 2004. In 2006 Stephanie Allen was inducted into the Colorado Women’s Hall of Fame. Sean Moore is President of LeaderWise, Inc., and a principal of the Athena Group. Each company offers integrated methodologies to organizations passionate about leadership development and business results. He specializes in cutting edge leadership series like, LeaderWise®, and has successfully produced desired outcomes for Fortune 500 companies, local municipalities, and 501(c)3 by leveraging his years as a senior editor in the video/film industry, as a financial advisor, and as an accelerated learning facilitator. Known as “the assessment guy,” Sean is certified in a wide range of leadership tools including the MHS EQi 2.0/360®, TESi 2.0®, Myers-Briggs®, Emergenetics/360®, and SCARF360®. He has successfully facilitated and coached for the following organizations: CSG Systems, The City of Loveland, Johns Manville, Colorado State University, Spectra Logic and Square Two Financial. Sean is dedicated to helping his client’s achieve their desired outcomes. 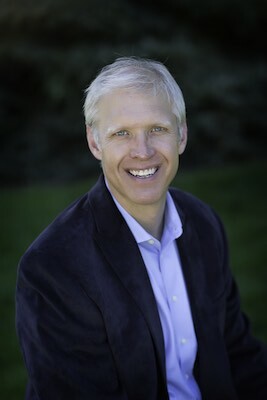 He continues to offer his expertise as a guest facilitator and coach to the Leadership Investment, Mountain States Employers Council, and Colorado State University’s College of Business Professional Certificate programs. Sean has over 750 hours of executive coaching and is a RPCC certified coach through the NeuroLeadership Group. In 2014 he applied for the International Coaching Federation’s PCC certification. Licensed as a Financial Advisor in 2005, Sean assisted companies and individuals with investment and insurance strategies for sustaining financial goals and business performance through AIM Investments, A.G. Edwards, and Strategic Financial Partners. An accomplished video specialist and senior editor, Sean has worked in multicultural environments in the U.S and along the Pacific Rim, managed $500k post-production budgets, and successfully delivered products for global distribution via satellite broadcasts and cable. He was honored to work with the SYDA Foundation, Jones Educational Media, Comcast, and the Royal Shakespeare Company. Sean holds a B.A. in Mass Communications from the University of Denver. As an active contributor to his community, Sean has served on the boards of the Level One Society and Stand Up for Kids. He continues to volunteer his time at Leadership Investment and mental wellness causes in northern Colorado serving in a variety of capacities from development to ethics committees. Sean’s personal crowning achievement to date was to be recognized as a lead climber during the 1995 Colorado Expedition to summit Masherbrum, a 26,598 ft. peak in Pakistan. He is a proud husband and father to two exceptional children!